I work a lot with the assets panel building up my own small library and find it unintuitive and cumbersome not being able to just drag an selected object in there to make it an asset. I think if you can drag out something it should also be able to drag in something. 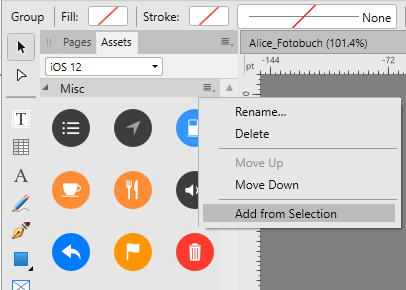 I searched a bit before I found out that I have to select an object, go into the context menu add choose "Add from selection" there. Maybe other people stumble over that to, so you might consider changing it.